The "lack-of-will" thesis, which blames Confederate defeat on rot from within, prevailed in the 1980s, and it was strongly rooted in the "social history" half of the Civil War bookshelf. In the quest for evidence of a want of commitment by Southerners, authors used military statistics to support a social argument. But often they do so without proper assessment of the reliability of those statistics, or any attempt to refine them and make them more accurate. Fragments of Ella Lonn's "Desertion During the Civil War" are sometimes quoted badly out of context. Or her numbers are offered up as inerrant gospel. Yet the difficulty of basing an argument on the "Official Records" is touched on in William Blair's introduction to the reprint of "Desertion During the Civil War": "Lonn relied primarily on the 'Official Records.' Although adequate for the time, this would be considered merely a good beginning today." Lonn, 1928. Bessie Martin's study of Alabama troops, 1932. 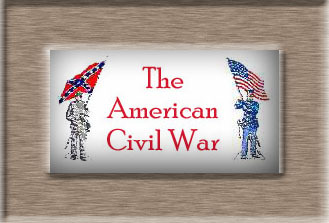 Now almost 80 years out of date, yet they remain the sources for desertion in the Civil War. Lonn and Martin relied primarily on the "Official Records," which are the most complete and impartial documentation of the Civil War, and the necessary foundation for any serious research. But they were never edited for accuracy, and many reports were condensed for space, and the information about the South is especially spotty. Modern historians are severely cautioned against relying on them without corroborating evidence. "The topic of Confederate desertion remains one of the least well understood in the field of Civil War scholarship," according to historian Gary W. Gallagher. Historians from Prof. McPherson on down have been saying for years that there needs to be a fresh study of this topic. But nobody wants to do it. It's not hard to see why. It would require a couple of people to spend the rest of their natural lives holed up in the National Archives, sifting through tens of thousands of provost marshals' reports and muster rolls of thousands of regiments. And even then, you would not have a total picture of desertion, only a clearer approximation. But a number of smaller-scale studies done in the last decade suggest what a more comprehensive overview might find. And, as it touches on the South, it's not the same picture that the "lack of will" theorists paint. Kevin Conley Ruffner, for instance, did a detailed examination of desertion in the 44th Virginia Infantry, published 1991, and found that it contradicted the image of Confederate desertion as a "linear problem of constantly increasing gravity." Most deserters left the 44th at the beginning of the war, "a product of the recruitment of men unsuited for military life." At the end of 1864, when many historians write of desertion sweeping unchecked through the rebel ranks, the 44th "had a desertion rate of less than 3 percent of its effective strength." A study of the 24th and 25th North Carolina regiments, meanwhile, also concluded that an "overwhelming majority" of their initial volunteers "performed steadfastly throughout the war." William Blair, author of the introduction to the Lonn reprint, concluded elsewhere that "Virginia's experience calls for modification of explanations of desertion as demonstrating a lack of will to fight or identify with the Confederate cause." Civil War legal codes defined desertion as leaving the military service without authorization and intending to remain absent. But skulkers, stragglers, men absent without leave, members of one unit fighting in another, and anyone who could not otherwise be accounted for were included as deserters in the "Official Records." Think about the scale of many Civil War battles, and the number of dead and wounded who never were found. Table 1 in the appendix of Lonn's book lists 1,028 as the figure for Confederate army officer deserters, and 103,400 as the figure for enlisted men. But Table 2 lists, by state, "Deserters from the Confederacy returned to the armies," and it totals 33,056 (the tally is incorrect in the source document, and Lonn notes this). Some would have been men captured and forced back into the ranks. But not all. Not every man marked as a deserter was truly one, and this was known during the war. A great many Southern men who lived near the front would leave the ranks to attend to some personal or family business like plowing, and then return. In other cases, men listed as deserters at first turned out to have been wounded or captured or both. Lonn's tables show 8,500 of 12,000 deserters from Virginia, and nearly 9,000 of 24,000 from North Carolina, rejoining the army. How should these men be categorized? The number of Confederate deserters is often given as "around 104,000;" a more accurate figure, accounting for those who voluntarily returned to duty, or who were incorrectly marked, would be lower. Gary Gallagher, in The Confederate War, calls attention to another point that ought to be obvious: "The presence of Union armies on southern soil generated a type of Confederate desertion unknown among Union soldiers -- and one that did not necessarily indicate weak will or unhappiness with the Confederacy." Devotion to homes and families, one of the most-often cited motives for the Confederate soldier's commitment, also drove the Confederate desertion rate up late in the war. William Dickey, company commander in the Georgia State Militia on the outskirts of Atlanta in 1864, wrote to his wife on July 13 about the many "Tennesseans and up Georgians" leaving the army to get back to their homes, which the Northern slash-and-burn advance had overrun. "They know their families are left behind at the mercy of the yankies and it is hard to bear." "I tell you it is enough to make any man desert. If the Yankees were to drive our army through our country & we were to pass on by you and the children, I could not say that I would not desert and try to get to you." This was how Sherman's march did double damage to the South: not just in wreching its economy and devastating important agricultural regions, but in drawing off the best soldiers, men who had stood by the Southern cause for three years, by threatening the one thing they seemed to hold more dear -- hearth and home. Ella Lonn understood this, too. Late in the war, it wasn't the shirkers and weak-hearted who were leaving the South's ranks; it was the veterans, as Grant and Sherman both noted. "Soldiers, faced with the choice of serving the State or their families, when famine was stalking the land, obeyed the stronger of the two obligations." 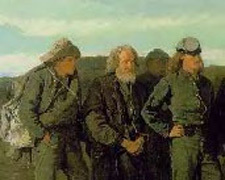 The men in the rebel ranks had plenty of chance to get out of the war when they crossed into Pennsylvania in June 1863. They were spread out over three counties, and it's a wonder that Lee's army did not simply melt into the fat countryside. They could have bled away deserters the way the Hessians did when Cornwallis' redcoat army crossed the Delaware Valley in 1777, where Hessian names still dot the phone books. Towards the end of the Civil War, when the South had lost, a great many of their conscripted soldiers crossed the lines and surrendered. Tens of thousands lay down their arms and said, "Enough." But in between, they were an army. It does no credit to the North to have lost so many battles to an army of cowards and slaves, an army that the Northern troops outnumbered more often than not. The "lack-of-will" thesis tends to see each decision by a Southern soldier to desert as a socio-political one. As though the rebel private awoke in his tent each morning, rolled over, yawned and wondered, "Shall I perpetuate the planter aristocracy for another 24 hours in the face of my obvious class and demographic interests? Or shall I bugger off?" Reid Mitchell's book, "The Vacant Chair," is one of the better works on the experience and psychology of the average Civil War soldier, especially in his relationship to his home. As such, it connects the home front and the morale of troops. And, of course, late in the war this was a damaging influence on the Army of Northern Virginia. "Even though all the factors that created cohesion within the Union army operated as thoroughly on the Confederate army, the will to make war was crippled by the obligations men felt to their families," Mitchell writes. Lee blamed the fall of his army in April 1865 on "the communications received by the men from their homes, urging their return and the abandonment of the field." The inevitability of defeat offered rebel soldiers the choice of staying around and waiting to be killed, or going home to protect their loved ones from the imminent, or real, Yankee occupation and post-slavery chaos in their communities. "Perhaps the most important reasons for Confederate desertion was the tug of home," Mitchell writes. There's an important study by Drew Gilpin Faust about Confederate women, that concludes the war was lost when they finally decided the men were needed at home more than independence was needed. Sickness, malnutrition, and invading Yankee armies closed in on the South, and the women called the men home. "Confederate soldiers left their wives -- and their mothers, sweethearts, daughters, fathers, sons, family, and friends -- at higher risk than most Union soldiers left theirs. And as the war went on, the dangers that the people back home faced grew more widespread. Confederate soldiers found themselves torn between two duties, one to the Confederacy, one to their families. After 1864, some Confederates saw the war as likely to end in defeat, others saw it as unlikely to end at all. Not surprisingly, more of them chose their duty to their families over their duty to the Confederacy, even over their duty to their fellow soldiers." He concludes, here and elsewhere, that Confederate soldiers fought for hearth, home, motherhood, womanhood, and family. But as Confederate armies became less able to protect these institutions, and as Southern slaves began acting out in the countryside, Confederate soldiers began to choose loyalty to home and family over loyalty to the Confederate cause. He doesn't call them cowards for this, and neither do I. "Trouble back home, not fear of death on the battlefield, drove Georgia soldiers to desert. The Union, understanding the close connection between Southern soldiers and their homes, constructed a policy designed to exploit it. The Union desertion program did not attract cowards because the weakhearted had left long before 1864. Seasoned Georgia soldiers accepted the Union desertion alternative that year because their responsibility to family gradually overcame their duty to the Confederacy. They returned only after the situation in Georgia became unbearable .... [T]here is no indication that widespread desertion among Georgia troops began in 1862. Most of Georgia's desertions came from units that did not form until March 1862, and few saw action until late that spring. ... James McPherson's belief that early 1865 witnessed wholesale desertion may be true, but not for Georgia's soldiers. The register reveals that Georgia's desertion to the enemy had all but stopped by 1865. ... Claims that as many as 278,000 out of 500,000 men listed on the rolls were absent and unaccounted for not only lack any kind of proof but are inconsistent with the limited work that has been done on Civil War desertion." Lonn also had concluded that the motives for desertion were similar on both sides of the Civil War. McPherson, James, introduction to Writing the Civil War: The Quest to Understand, McPherson and William J. Cooper, eds. University of South Carolina Press, 1998. Reid, Mitchell, The Vacant Chair: the Northern Soldier Leaves Home. New York: Oxford University Press, 1993.